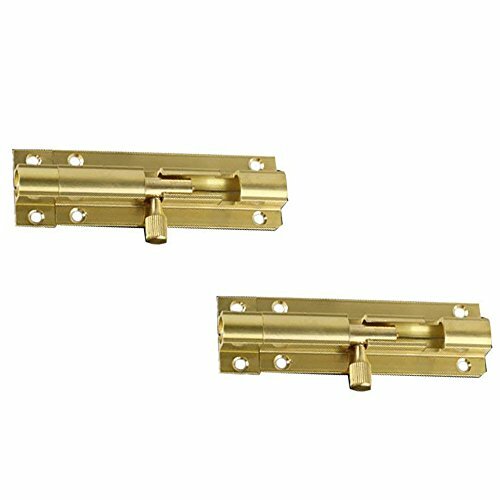 Package Contain: 2pcs Door Latches , Screws are included. Designed for security applications on lightweight doors, chests and cabinets. Made of high-quality brass material, it is sturdy and has a smooth shiny surface for a good appearance. Use on vertical, horizontal, left or right hand applications.Easy to install: Left or Right Side Installation. Ideal for locking doors, windows, drawers or cabinets. For use on doors and gates requiring greater security.. If you have any questions about this product by BTMB, contact us by completing and submitting the form below. If you are looking for a specif part number, please include it with your message.